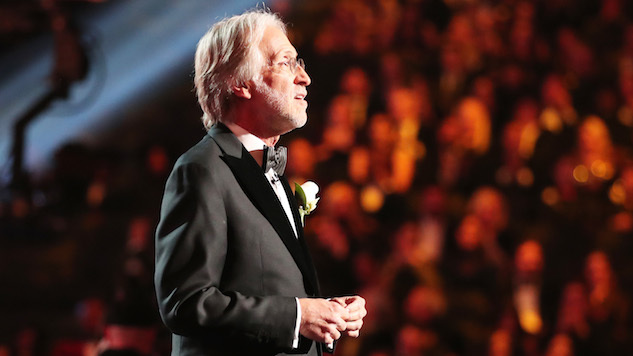 Grammys President Responds to Backlash After Saying Women Need to "Step Up"
According to THR, Recording Academy president and CEO Neil Portnow has issued a statement about controversial comments he made to Variety, in which he said women need “to step up” after Sunday’s male-dominated Grammy Award winners. All of the televised awards on Sunday went to men, except Alessia Cara, who won Best New Artist, and only 11 of the total 84 awards went to women. There was also notable backlash after Lorde was the only Album Of The Year nominee who was not asked to perform at the awards show and SZA, one of the year’s most critically acclaimed artists, was shut out from all five awards she was nominated for. Read Paste’s take on this year’s Grammy Awards here and for some light-hearted relief, check out the funniest tweets about this year’s Grammys here.